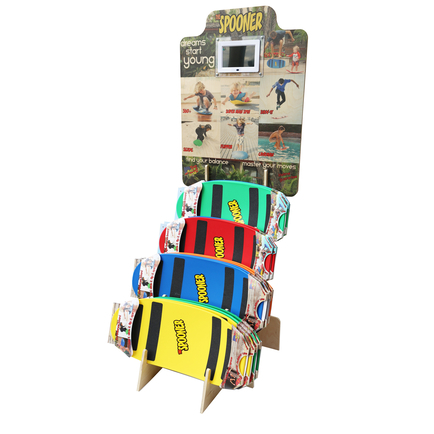 This new Spooner In Store Display is the best way to conmunicate to your customers how fantastic Spooner Boards really are! The Wooden display communicates that beachy vibe that the Californian inventors wanted to emulate. Watch the video and see all the fun! Expend lots of energy, get some exercise and build core balance.